All of our food is prepared and cooked right here in our restaurant. Every piece of meat is hand-rubbed with our top secret blend of seasonings. Need delicious food for your next family get-together? We accommodate small or large bulk orders that may be picked up or delivered. we are also a full-service caterer of fish, steaks, seafood, whole hogs and so much more. It’s no secret that great food brings people together! 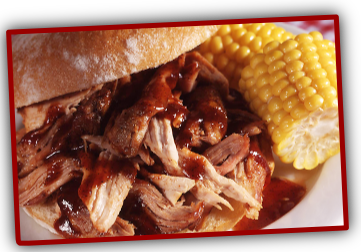 Whether it’s around the table in our restaurant or at your private party, L.A. Barbeque wants to be that reason for you! All of our delicious food is prepared and cooked right here in our restaurant in Summerdale, Alabama—or as we like to say “L.A.”, Lower Alabama. Every piece of meat is hand-rubbed with our top secret blend of seasonings, then loaded into our custom-made smoker where it’s smoked with pecan for a l-o-o-o-o-n-g time. 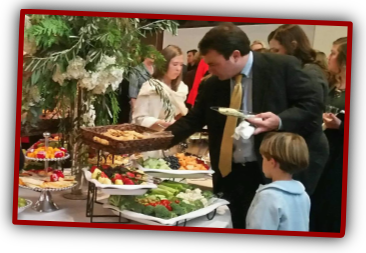 While we are family-owned and operated, we are well-equipped to handle the volume of our restaurant business and catering events of any size! 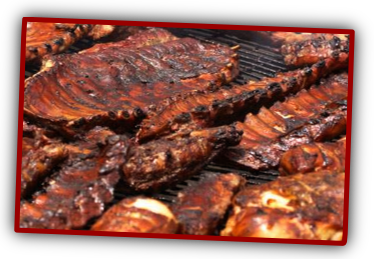 We can cook about 700 pounds of Boston butts, 600 pounds of ribs or 800 pounds of chickens—at once! 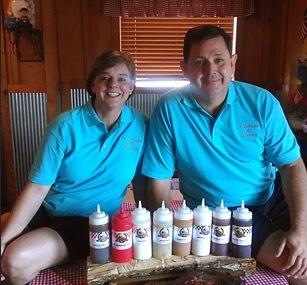 We believe our barbeque is unique, and it will keep you coming back for more because it’s the best barbeque you will ever try. Our goal is for you to share your great experience with us with your friends and to make plans to dine with us again. We love to see old friends and new enjoy their time together around a table filled with great food from L.A. Barbeque! In addition to our dine-in services, please also contact us with your bulk order, catering or event planning needs! After years of folks telling us we ought to start a restaurant, we finally did it! This restaurant exists because we are blessed beyond measure. We have family and friends that have encouraged and prayed for us daily. We love to see old and new friends enjoy themselves around a table of great food. You will find that our food is different from anything you’ve ever had before and is the best barbeque you will ever try. Our goal is to have you calling us friends when you leave and planning the next time you will visit us. 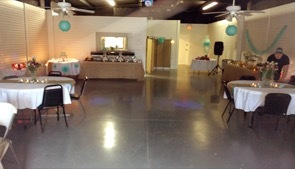 Having a party or gathering and dont have a location to accommodate all the people? Let L.A Barbecue take care of it all. In our new banquet hall we can take care of everything all you need to do is show up.